Much current public and political debate about immigration and diversity assumes that there should be tensions on the ground s of ethnic and religious differences. In the London Borough of Hackney, however, diversity is the norm and, as a result of a long history of diversification, cultural and religious differences are rarely issues of contestation. 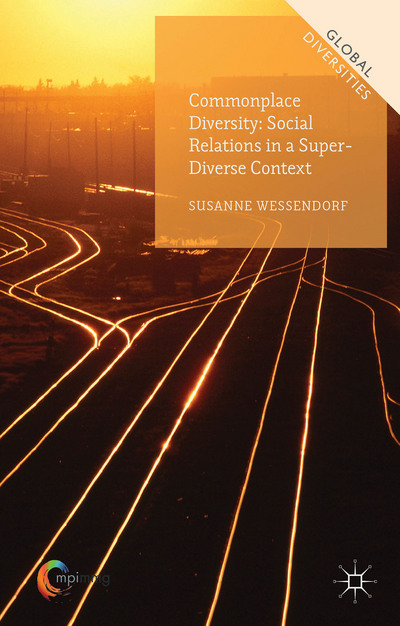 There seem to exist sufficient social norms to hold society together and ensure relatively stable and peaceful relations across myriad differences, writes Susanne Wessendorf. It is a rainy Tuesday morning in the London Borough of Hackney. I’m sitting on a bus and my attention is drawn to an interaction between two women in front of me: a woman who looks to be East Asian is struggling to understand someone on her mobile phone. Her English is not very good and she is trying to grasp what the person at the other end is saying. It appears to be an ‘official’ phone call with some kind of institution. She suddenly hands her phone to an African woman with a colourful head dress who is sitting near her, and indicates that she should listen to what the person on the phone is saying. The African woman unquestionably takes the telephone and tries to help. However, although her English is perfect when speaking to the person on the phone, the misunderstanding is not resolved and she hands the phone back, shrugging her shoulders. The Asian woman takes her phone, turns away and finishes the phone call, while the African woman continues to look out of the bus window. This is one of many social interactions that I observed during my ethnographic fieldwork in Hackney, one of Britain’s most ethnically diverse areas. It represents a typical encounter across national, ethnic, linguistic and possibly religious and socio-economic differences in a context where diversity has become commonplace. The Asian woman seemed to hand her phone over to whichever person was standing next to her. It did not matter how this person was dressed or what her ethnic background was, because in a place like Hackney, it is impossible to know who is a local and speaks good English and who is not. Visible difference, thus, did not feature as an issue of consideration in this interaction. This normalisation of diversity, which I conceptualise as commonplace diversity, is an integral part of life in a ‘super-diverse’ context. Hackney’s population is made up of people with a multiplicity of different migration backgrounds, combined with differentiations regarding religions, educational backgrounds, legal statuses, length of residence and economic backgrounds both among ethnic minorities and migrants as well as the white British population, many of whom have moved to Hackney from elsewhere. 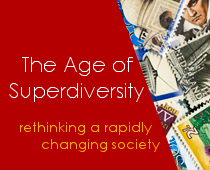 This ‘diversification of diversity’ which characterises an increasing number of urban areas across the world, is what Vertovec defines as ‘super-diversity’. The concept of super-diversity draws attention to the interplay of factors ranging from legal rights, labour-market experiences, age profiles, religious backgrounds, etc., and it calls for the importance of going beyond the analysis of conditions of multi-ethnicity when analysing diverse urban areas. The interaction on the bus not only tells us something about the commonplace nature of diversity in Hackney, but also about the fact that in both public and semi-public spaces such as markets, buses, parks, local associations, schools or libraries, people generally get along well across differences. While in these spaces there is a great deal of mixing between people of different backgrounds, my research suggests it is different when it comes to close friendships and more intimate social relations. These often go along socio-economic, ethnic, religious, linguistic and national lines. Thus, while people mix in public and associational spaces, they often go home separately. However, this is not perceived as a problem, as long as people interact and mix at the school gates, in libraries or other such places. Rather than simply leading ‘parallel lives’, Hackney residents’ social worlds are much more nuanced and complex than some current political and media discourses make us believe. Their lives are characterised by different levels of social relations across difference, different degrees of interaction, different depthsand qualities of engaging with difference. In a super-diverse area where diversity has become commonplace over the course of time, there seem to exist sufficient social norms, expressed by way of ‘civility towards diversity’, to hold society together and ensure relatively stable and peaceful relations across myriad differences. In an age of talk about ‘cohesion’, ‘integration’ and ‘Britishness’, much current public and political debate about immigration and diversity assumes that there should be tensions on the grounds of ethnic and religious differences, viewing diversity as the exception rather than the norm. Commonplace diversity is contrary to this kind of social imaginary. Here we have a context where diversity is the norm, and where, as a result of a long history of diversification, cultural and religious differences are rarely issues of contestation. Although even in this context, stereotypes and prejudice might still exist, they are seldom acted out in public. In light of the rather negative recurrent discourse about immigration-related diversity, it is important to provide such hopeful and positive stories about how people get along in super-diverse areas. However, it is equally important to address those issues which currently affect many people living in super-diverse urban areas like Hackney: fast gentrification and increasing socio-economic inequality, coupled with welfare cuts, unemployment and the pressure of increasing housing costs. While immigration control continues to be on top of the national governments’ agenda, there is currently no talk about controlling the ‘immigration’ of ‘the professionals’ into previously disadvantaged urban areas, and the increasing inequality that comes with gentrification. Although the local government is aware of the problem, it seems to be powerless in the face of a trend towards ‘super-gentrification’. Although not all local people in Hackney are against the changes which gentrification brings, many find it difficult to deal with the pace of change in certain areas, and the loss of control over these changes. And, of course, many – including the children of long-standing middle-class residents – are confronted with the very real issue of sky rocketing rents and house prices. In a place like Hackney, but also other such urban areas across Britain that are characterised by super-diversity and fast socio-economic changes, it is these issues, rather than assumed tensions on the grounds of cultural or religious differences, which need to be addressed.